Tottenham set a club record of nine successive Premier League home wins when they beat Everton at White Hart Lane last Sunday. FA Cup Latest: Next up, they face League One opposition Millwall in the FA Cup. With Harry Kane in fine form up front, supported by a defensively-solid team behind him, it’s hard to see past anything but a Spurs win this weekend. Kane has just been named the Premier League Player of the Month, after scoring four league goals in three appearances for his side. He also netted a hat-trick against Fulham in the last round of the cup to set up a tie against the Lions. But the League One side are also on a fine run of form – they’re unbeaten in 17 matches, last losing against Shrewsbury Town in early December. Cup wins against Watford and Leicester City have been standout results for Neil Harris’ men, who will be well up for a battle away to Spurs. Unfortunately for them, Mauricio Pochettino has turned White Hart Lane into a fortress. Home fans have not seen their side lose once there this season and will be expecting nothing less than victory on Sunday. A win for Spurs will see them through to the semi-finals of the FA Cup, setting up a fifth visit to Wembley Stadium this term. 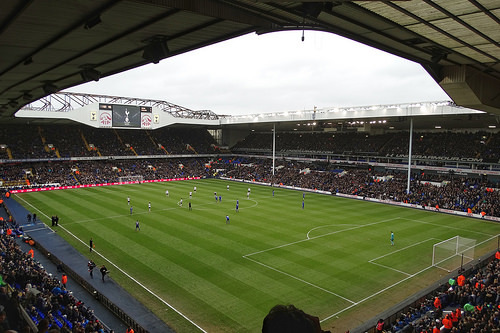 The Lilywhites have played four European fixtures there already, but their form at the home of football is a stark contrast to that at White Hart Lane. Sunday’s clash against Millwall may be the final cup tie played at N17 for at least a year, with Spurs likely to play every home game under the arch next season. Fans will be hoping it’s one to remember, and judging by their current home form, and that of the visiting Lions, it should be just so.